Offerta speciale per le vacanze di primavera dal 20 al 31 marzo: acquista 5 notti e ricevi 1 GRATIS! Bella, quattro residenza cittadina camera da letto nella zona di Union Creek di Copper Mountain. Riscaldata, sotterraneo, garage con spazio per due auto. A cinque minuti a piedi dal centro del paese per una grande scelta di numerosi ristoranti e negozi, senza mai dover guidare ovunque. Questa cittadina ha tutto ciò che si potrebbe chiedere di più in servizi! Veramente unico nel suo genere! Questa cittadina non fumatori è la più bella in arredi, dai letti di registro a schermo piatto televisione suono surround. La nostra struttura si trova direttamente su una bellissima insenatura chiaro. Wonderful cabin!! 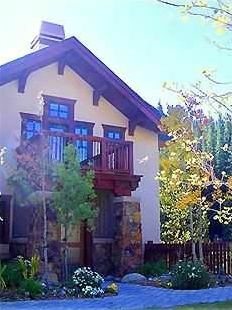 Close to the ski lifts and center village! We sincerely appreciate your business Leannette! Great location, beautiful home, and great service! Everything about this home was great. I worked with Cindy throughout the rental process and throughout our stay. She checked in with me to make sure we had everything we needed and was so accommodating when I had requests. The property is amazing and my family of 6 was so comfortable staying here. It is situated between the West Village and Center Village and is a 5 minute walk to either one of them. We have 2 younger kids (5 and 7) who had lessons in the West Village, and it was a breeze to walk out the back of the unit to the path that leads right to Union Creek and Kokomo lifts. We also have 2 older kids (16 and 17) who could walk the other way to Center Village to the American Eagle and American Flyer lifts. Overall, this is a great place to stay and we look forward to coming back again and again. Thank you, Mark! I am so happy you and your family enjoyed your stay with us! I'm happy our home and the location worked out great for you and your family! We look forward to welcoming you again in the future! Our family group of 10 loved, loved, loved this place. For starters, the layout is great for a group with an inviting dining area and family room. The home is well cared for and met all of our criteria for group trips...plenty of cutlery, properly stocked kitchen, plenty of linens, spacious but inviting. And you can't beat the location. The view out the back windows imbues the feeling of a cabin set in the mountains. Yet, it's a short walk to the base of both West and Central Villages and truly ski-in at the end of the day. To boot, the nonskiers in our group were able to explore restaurants/shops and access the snowshoe trails without ever needing to get into a car. Oh yeah, and if you want to grill, it happens to be outside the front door. By the end of our stay, we were already making plans to return next year. Thank you Monica! We are so happy you all enjoyed your stay! We look forward to welcoming you back again in the near future! I can't say enough about this property. Cindy's attention to us, her guests, was amazing. The place was spotless, with so many thoughtful amenities such as laundry soap, toiletries, kids toys, humidifiers for every room, etc... We had a group of 12 (4 different families, 3 with kids, and one without) and fit perfectly in the house with plenty of space. The kiddos loved going right outside and playing in the snow both from the bottom and middle floors. It was so convenient for them. Everything in the house worked and was in great shape. There is a private hot tub and fireplace that worked great. The balconies for sitting outside and watching the beautiful views were awesome. The garage is private and easily fit our 2 large 8 passenger SUV's. I couldn't imagine all of us having a better time anywhere else. While it was a bit more of a walk to the lifts (Union Creek is slightly farther and a slight upward slope) vs American Flyer which is a slight downward slope) - it was easily walkable to Flyer in 5 minutes, and Union Creek in about 7-10 minutes right out the bottom floor door directly on the walking path to the specific areas. We loved our stay and would recommend it to anyone. In case your wondering: the kids were 3 (didn't ski), 4 & 7 (did ski - first time but mostly played in the snow), and 7 & 10 -- have snowboarded before and skied both days we were there. The wifi was also fast and easy to connect to. 2 folks in the group worked from here! I have been staying at the Comfort Condo for years. Between the convenient location to great hikes and the Copper Mountain village, the warm and cozy interior, the sound of the stream and idyllic mountain view right outside your window, and relaxing in the hot tub after a long day it is truly an experience I will never forget. The condo is perfect for a family vacation, a weekend with friends, or a romantic getaway! It has become a home away from home - I actually miss it when I am not there! HIGHLY RECOMMEND! Our second trip to this condo. Excellent location with easy walk to lifts and new alpine slide. Owners are very accommodating. Tax of 10.63% will be added to entire rental rate. PLEASE CONTACT US IF YOU ARE INTERESTED IN LESS NIGHTS THAN THE NOTED MINIMUM STAY. Once final payment has been received there is no refund if you cancel, unless we can rebook the unit. Damage deposit will be refunded 14 days after departure, pending unit inspection. Rates and minimum stay requirements are subject to change. Please contact us for details.